About a month ago, my life took a very exciting turn…I was offered and accepted a job as a Tour Director (in the industry known as a TD) with Tauck Tours. A true dream job! My first tours will be in Central Europe, along the Danube, Main and Rhine Rivers. Over the past four weeks, I have been planning and organizing (imagine that…me, organizing!?!) and preparing for this amazing journey. So many friends and family members asked if I was going to blog because they wanted to follow my adventures. I decided to give it a go….but first the blog needed a name. After many suggestions, I decided to use my mom’s (thanks, mom!) 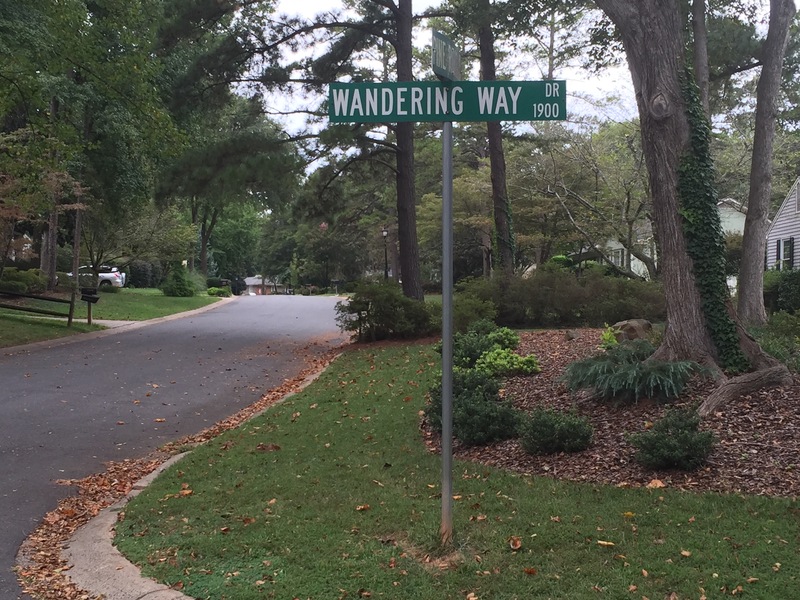 suggestion of “the wandering way.” This title has a dual meaning as Wandering Way was the name of the street I grew up on and it is a perfect explanation of my life right now. Just remember….not all those who wander are lost! Good luck, Jaime!! And have a great time! I’ll be following the blog here… If I’ve signed up correctly. Be good! First thing I thought when I saw the name was “Hey, I grew up on the corner of Wandering Way & Lost Tree”. Then, I read your entry and had my Ah-Ha moment. Safe travels my friend. I shall be following you and your journey.